Enjoy a free guided tour of Bersham Ironworks and learn about 'Iron Mad' Jack. Meet at Bersham Heritage Centre car park, LL14 4HY. There is no need to book, just turn up. We recommend wearing sturdy footwear. Our County History - Alive and Kicking? The annual general meeting of the Heritage Forum will be held at Mold Methodist Church on Wrexham Street, Mold CH7 1HQ at 18:30 on Tuesday July 25th. Parking is available on the nearby public car park by the Co-op. Attractions include Short ‘Bridges of the Dee’ boat trips • Our café will be open and there will be a BBQ • Annual Corporate Duck Race and General Public Duck Race • Come and meet the RNLI Flint Volunteer Lifeboat Crew, Deeside Fire Service and Coastal Rangers • We will have music and a variety of stalls. A photography orientated talk including tips on how to take quality photographs for posterity.  10:10 Vic Tyler-Jones Llay Main: Its Colliery and Village.  10:55 Bleddyn Penny Protest and Pragmatism: Welsh Steelworkers’ Responses to Deindustrialisation.  11:40 Leon Gooberman The Rise and Fall of the BNS/ICI Factory at Pontypool: A Case Study of Deindustrialisation.  12:30 Lunch Break (Tea and coffee will be available, but there will be no lunch provided at this event).  13:15 Keith Gildart The Decline of Coal Mining in North East Wales, 1947-1996.  14:00 Iwan England Aberfan: The Fight for Justice.  14:45 Valerie Walkerdine Gender, Work & Community after Deindustrialisation: The Case of a Former Steel Town in South Wales. Discover the history of North East Wales through 100 objects! North East Wales Heritage Forum will be here to guide you through the history of the area with displays, handling tables and family activities. Visit us on Saturday, 16th September as we open the doors of the library to everyone as part of Open Doors 2017. Join one of three FREE hour-long, curator-led tours where you’ll learn about our unique and distinctive collections and the man who founded them, W.E. Gladstone. You will also go behind the scenes into Closed Access, our secure store - get up close with almost 6,000 items printed before 1800, some dating from the early 16th Century. There will also be a display of beautiful and fascinating items from our diverse collection. 60-minute Curator-led tours of the Library take place at 12pm, 2pm and 4pm. After your visit, why not stay for tea, coffee and cake in our bistro, Food for Thought (open 10am - 5pm). We serve a full lunch menu between 12pm and 2pm, and light bites between 2pm and 5pm. Come along and see the library and its collections as they are rarely seen by the public. We hope to see you there! About Open Doors - Cadw’s Open Doors is an annual celebration of the architecture and heritage of Wales. It provides an opportunity for the public to visit places not normally open or to visit for free sites that usually charge. Sites that are normally open and free of charge offer something additional for their visitors. 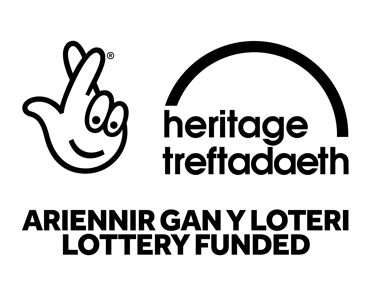 To find out more about Open Doors, visit cadw.gov.wales/opendoors Visitors are welcome to turn up on the day, but please note that tour groups will be limited to 35. We do advise booking both tour and lunch reservations in advance. To book your tour or make a lunch reservation, please call 01244 532350 or email enquiries@gladlib.org. A large display of photographs and memorabilia showing the history of Mold over the last 150 years along with the historic Council Chamber will be available free of charge for the public to view. A large display of photographs and memorabilia showing the history of Mold over the last 150 years, along with the historic Council Chamber will be available free of charge for the public to vies. Pictures and artefacts from around Deeside- learn about your past. Come and discover a treasured collection of stained glass windows commemorating characters from Welsh history. Also many portraits and sculptures, a large number of items relating to the industrial heritage of the Valley (including the Glyn Valley Tramway), a collection of Eisteddfod Chairs, an impressive display of Holy Bibles, samples of the poet Ceiriogs work, bookcases donated by the Welsh communities in Patagonia and much much more. The Old Engine Shed is open every Saturday until December 16th. Look at The New Glyn Valley Tramway & Industrial Heritage Trust website for special events before Christmas. A talk by Mavis Williams for the Quay Watermen's Association. Members free, visitors £3 on the night. An illustrated talk by Lorna Jenner for The Holywell & District Society. FREE EVENT - Join us to have a look around, take a tour (walking or by 4x4), see the fossils, have a go on the railway, chat with us about the restoration plans. Wrexham Amateur Radio Society - broadcasting around the world. NEWHF timeline and themes displays telling history of NE Wales and hands-on time line activity. On Sunday 25th November there is an OPEN DAY at the site. Work at site completed on 27th. This is a Christmas Social and we hope to have Ron Hill Connah's Quay Councillor, to lead an interactive reminiscence of Christmases past. Please come and bring some friends! CADVAS (Corwen and Dee Valley Archaeological Society) Midwinter Solstice Walk to Moel Ty Uchaf Cairn Circle on Friday 22nd December 2017. Depart Llandrillo Car Park at 10 am, dogs welcome but must be on lead at all times. NB! Early-Bird Walk to view sunrise will depart at 7 am prompt.